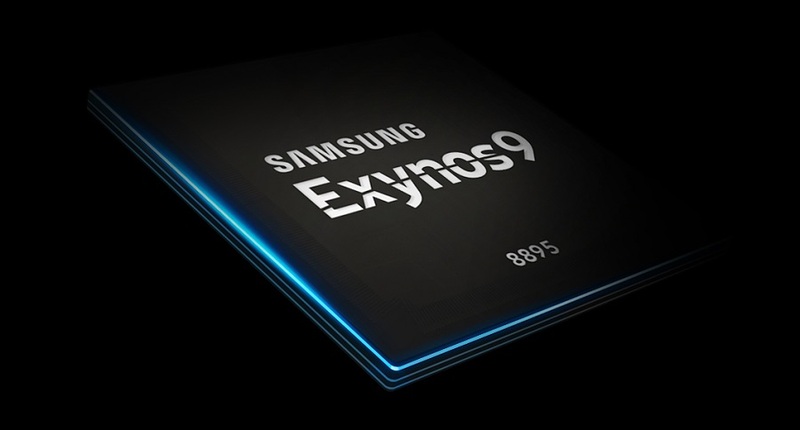 Samsung officially presents the new Exynos 9820, the company’s flagship processor that we will see on its next flagship. This chipset arrives to face the new Kirin 980 of Huawei and the Snapdragon 8150 of Qualcomm and in all probability the Galaxy S10 will be the smartphone that releases this Exynos 9820 that has just been announced. Although it was planned that the new Exynos was manufactured in 7 nanometers , finally Samsung has chosen a process of 8 nanometers LPP with FinFET architecture . A jump compared to 10 nanometers from the previous Exynos 9810 and that according to Samsung will offer an efficiency of up to 40% more than last year. The Exynos 9820 is an eight-core processor. Two of them are manufactured with Samsung’s own architecture that is already in the fourth generation and offer up to 20% more performance per core and 40% more in efficiency. This moves according to Samsung in a better application load and a much faster multitasking. Additionally we have two other Cortex A75 cores and finally four Cortex A55 cores as we had in the previous Exynos. For the graphical section, this new Exynos 9820 incorporates a Mali G76 GPU with twelve cores. A graphic that according to the official data will allow to play for more time to powerful games, to achieve a more fluid augmented reality and obtain a graphic performance of up to 40% higher , with an improvement in efficiency of 35%. We have compatibility with LPDDR4X RAM, cameras up to 22 megapixels and for the first time it adds the ability to record up to 8K resolutions at 30fps and supports video encoding in 4K at 150fps, a slight improvement over the current 120fps. Another relevant aspect of this Exynos 9820 is its improvement in the connectivity section. An LTE-Advanced Pro modem is included with the processor, which offers download speeds of up to 2.0GBps with up to 8 added operators and a upload speed of 316Mbps. Compared to last year, this is an improvement of more than 50%. In case we had a mobile network able to take full advantage of the capabilities of this chip, we could download a FullHD movie of almost 4GB in about 15 seconds, a speed that will also be well received in online multiplayer games like Fortnite . But if there is a relevant change in this Exynos 9820 is the incorporation of a dedicated NPU, to get accelerate artificial intelligence from the hardware itself . It is a dedicated chip that processes tasks internally, offers a greater capacity to protect mobile data and allows to improve the possibilities of the camera by recognizing scenes and objects. An NPU that according to Samsung will also serve to enhance both its virtual reality and the augmented.